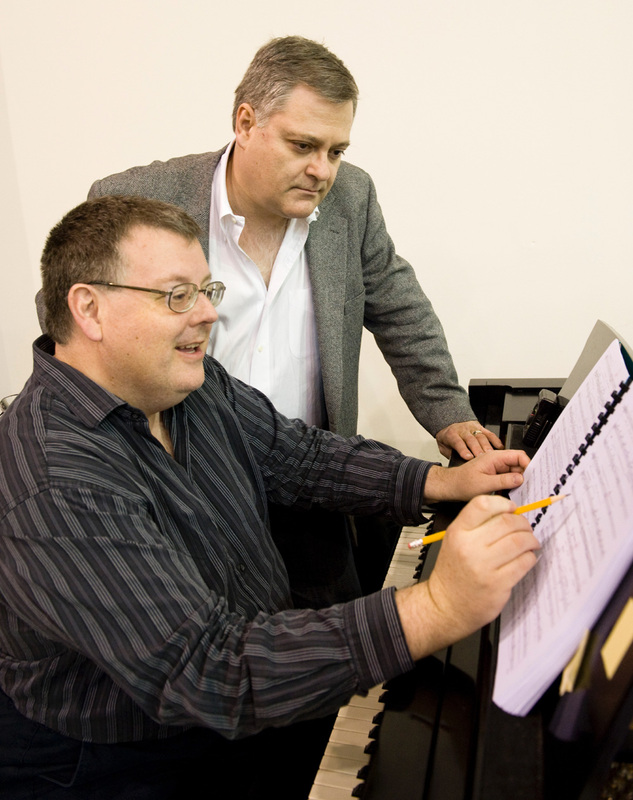 In preparation for the start of Lucia di Lammermoor rehearsal next week, Seattle Opera’s Head of Music and Principal Coach/Accompanist David McDade (at piano, right, with Amelia composer Daron Hagen; Rozarii Lynch photo) spent some time last month with a facsimile of the manuscript score--in Donizetti’s own handwriting--at the Juilliard School in Manhattan. I got a chance to run some questions by him about his experience. David, why don’t you just work from the printed scores put out by the music publisher (in this case, Ricordi)? 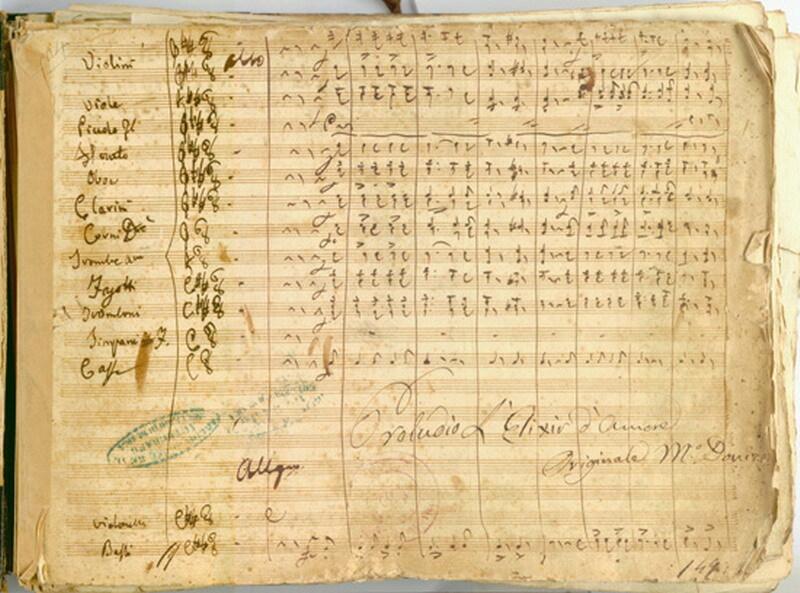 Why go to all the trouble of finding the composer’s manuscript and deciphering his (usually illegible) scrawls? 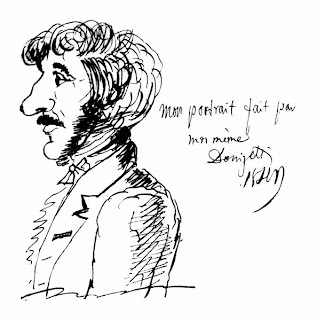 Actually Donizetti’s penmanship is far cleaner than a number of other composers that I will not be so unkind as to name! In studying a number of Bellini operas (Norma, Capuleti, Puritani) in manuscript facsimiles, I found the publishers made some errors in typesetting. It is possible the editions were prepared from a copyists’ copyists’ copy. Sometimes there are wrong notes, rhythms or words; more often I find that there are MANY expression markings (dynamics, accents and the like) that never made it into the printed editions but are clear in the composer’s hand. To be fair, Ricordi has recently partnered with University of Chicago Press to produce critical editions of Bellini, Donizetti and Verdi, consulting the primary documents from the time of the world premieres (original manuscripts and/or original orchestra parts). There are TWO critical editions of Lucia, the first (by Jesus Lopez-Cobos) published back in the early 80s (and recorded with him, Caballe and Carreras for Philips) and the newer one (by Gabriele Dotto and Roger Parker, 2003, used by the Met and recorded by Sir Charles Mackerras with Andrea Rost and company for Sony). And Ricordi also has published Donizetti’s French version, Lucie de Lammermoor, in a critical edition by Jacques Chalmeau from 2000. These critical editions have been a godsend, but if you’re a fanatic like me (I spent eight hours of vacation poring over Donizetti’s manuscript) you’ll always find surprising things when looking at the manuscript. Which finds are the most valuable to you? All in all it’s like the difference between a typewritten letter (or email) from a friend and receiving the same note handwritten on stationary; there is just something extra and personal about the latter. I love the personal touches that bring me closer to the composer. As I looked at the great Sextet, I saw that Donizetti had run into a problem: he hadn’t allowed enough lines for all the soloists! He had to draw an extra staff at the bottom of the page to write Arturo’s part. I was already aware of some discrepancies. Donizetti wrote three numbers in higher keys than appear the published score: Lucia’s entrance aria (“Regnava nel silenzio”), the Act 2 duet between Lucia and Enrico, and of course the mad scene. I found one baffling omission of four bars in the chorus lines of the Act Two finale (which we’ve restored for our production). There was an extended cadenza in the harp solo that opens the second scene which is shown as an alternate in the published Ricordi orchestral score; the vocal score only prints the incorrect version (we are correcting this as well). And at the beginning of the Lucia/Enrico duet in Act Two there is a famous and lovely oboe solo that in the manuscript turns out to have been written for clarinet! (We’re giving it to the clarinet.) And there are MANY missing notes; it seems no instrumental line was 100% accurate in the published score. I think I was most startled by the sheer number of little things. I like to think Donizetti would appreciate our correcting all these errors in our scores and parts. Studying manuscripts is a way to get closer to the real person, some composer who died centuries ago. 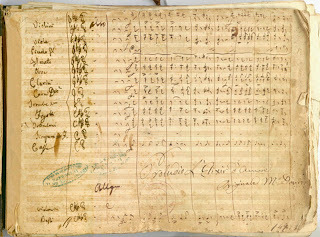 To look at Mozart’s manuscripts of Don Giovanni or Die Zauberflöte is to see his composition process, what came first, what came next, and amazingly how much seems to have flowed directly onto the paper without error or corrections. Contrast that with Mahler’s clear but rather severe writing and you see a different creative mind at work. Then there’s Puccini’s sketches for Turandot, so messy that it is amazing that Franco Alfano could use any of it for his completion of the opera. The history books tell us that Donizetti rewrote his scores all the time, tailoring each opera to fit the vocal prowess and skills of the specific performers he was working with--THAT month, at THAT particular theater. Do we still rewrite his operas when we perform them? What are we cutting, in our upcoming Seattle Opera Lucia? 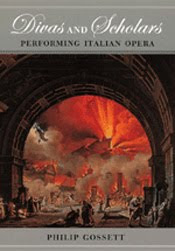 There is a really interesting book, recently published, entitled Divas and Scholars, by Philip Gossett, about the problems involved with producing bel canto operas and how scholarship and critical editions both benefit and clash with traditions and artists. I recommend it for anyone: it’s entertaining as well as informative. The issue of cuts has always been with us. There are a number of fine recordings from the 1950s where the scene with Lucia and Raimondo is cut in its entirety; we will be performing that scene, albeit with a small cut. Almost never seen in live performance is the opening scene of Act Three (usually referred to as the “Wolf’s Crag”); it will be omitted in our production. But these cuts are not recomposing, merely tailoring the scenes for our particular production. 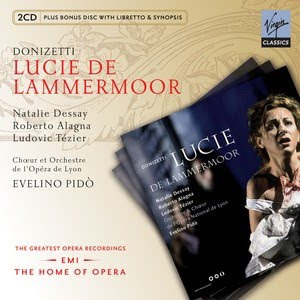 Donizetti DID recompose the work for France as Lucie de Lammermoor; there is a recording with Natalie Dessay and Roberto Alagna. The composer adapted the musical notes for the French text, rewrote sections, shortening, lengthening, changing. And then other passages are identical. It’s a fascinating listen; familiar and yet not. Maria Callas taught that a major part of the opera singer’s job was to study the articulations in the score--spiccatos and marcatos and sforzandos and forte-pianos and so forth--and use all these expressive markings to express character. But some composers gave more instructions than others. Does Donizetti tend to write out all his instructions, or do you have to fill in the blanks sometimes? Donizetti sure loves to write accents! That jumped off the page at me from looking at the Lucia manuscript immediately; there are far more than are found in the Ricordi scores. He also has an unusual way of notating legato that seems almost to designate shapes and connections more than just “sing this all connected”. Sometimes it looks more like articulation markings or bowing markings you’d see for wind or string instruments. Cadenzas are all notated very precisely HOWEVER...there are so many traditions associated with those! Back in the composers’ time they are intended as much for vocal display as anything. The famous Mad Scene cadenza with flute actually dates from the late 19th century. In Ricci’s book of variants and cadenzas there are several versions, all of which were considered “traditional” when the book was published fifty-some years ago. And many people sing the cadenzas Maria Callas used verbatim. Today we are very concerned with theatrical values, so a cadenza ought to have dramatic meaning as well as musical finesse. The opera can no longer just stop to show off vocal prowess. Finally, I happen to know you have a special fondness for Bellini (Norma and I puritani), who was Donizetti’s rival when they were alive. Do people still take sides? Or do you find Donizetti’s music appealing as well? What a loaded question! If I had to choose between Donizetti and Bellini I would choose the latter. Not because Donizetti is inferior, but there is a depth of feeling in Bellini’s greatest music that moves me more deeply. But then Bellini never wrote anything like Don Pasquale or L’elisir d’amore...I wouldn’t want to give up either gentleman’s music! for the extreme thoroughness of your research and corrections!! These make you an INDISPENSIBLE member not only of the SO team, but of the whole opera world, when other houses can benefit from the improvements you make!! and the GMD is Matthias Foremny. Toi, toi, toi for your "old and improved" "Lucia"!!!!!!!!!!!! for the extreme thoroughness of your research and editing to get at what really was Donizetti's "Lucia". This makes you not only an INDISPENSIBLE member of the SO team, but of the entire musical world, as, hopefully, other theaters producing "Lucia" might be able to benefit from your work!!!! The theater here in Schwerin, Germany, will be producing a new "Lucia" operning in November. 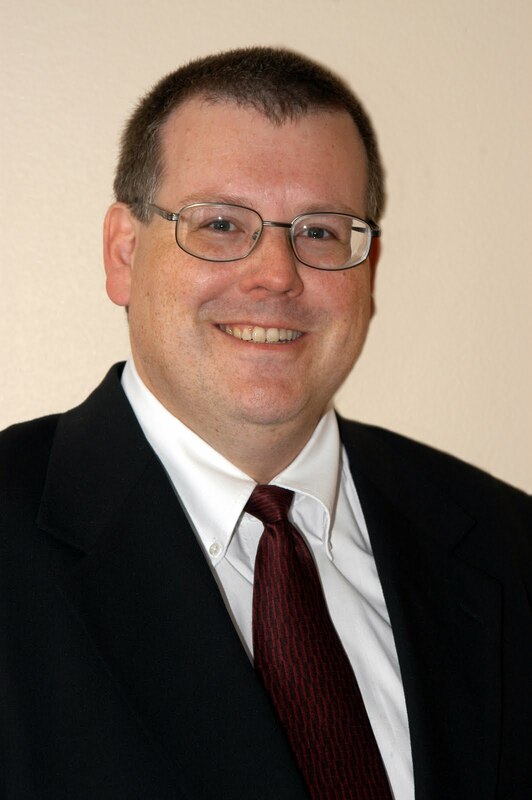 The GMD is Matthias Foremny. Toi, toi, toi for your work in Seattle!!! !